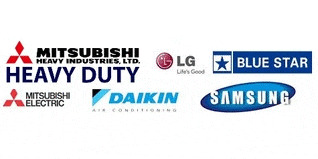 COOLING CARE DAIKIN AIR CONDITIONER DEALER DUCTED 9910885865 7210185865 Explore the most comprehensive range of Ducted air conditioning systems at Daikin. They are perfect for homes, open-plan offices, shops, schools, restaurants and any other big-size spaces that require balanced air distribution around the room. The most practical choice for heating or cooling large air conditioning remains a challenge.